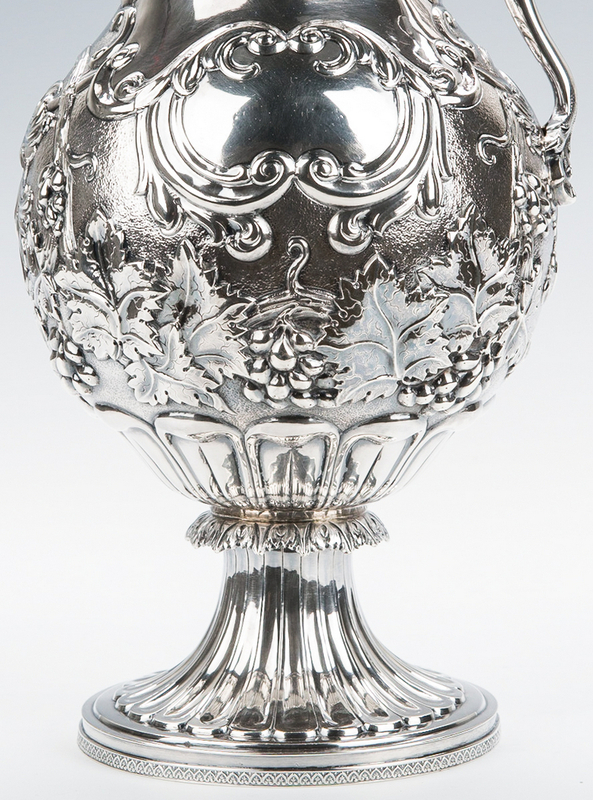 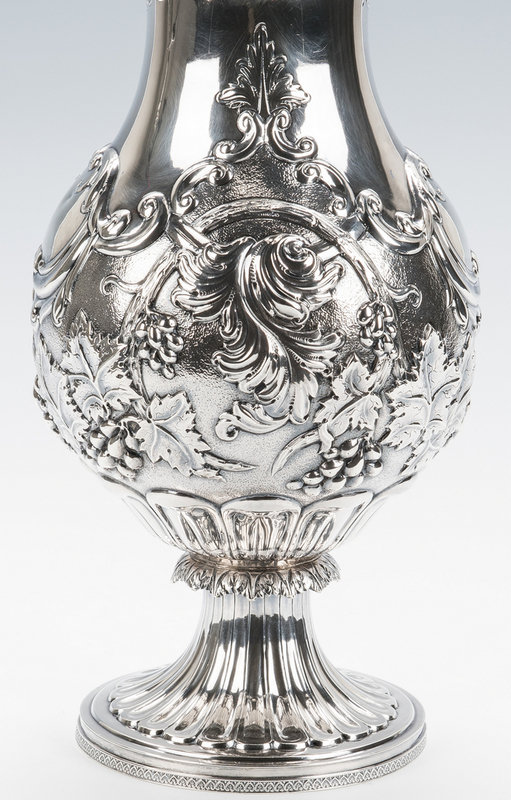 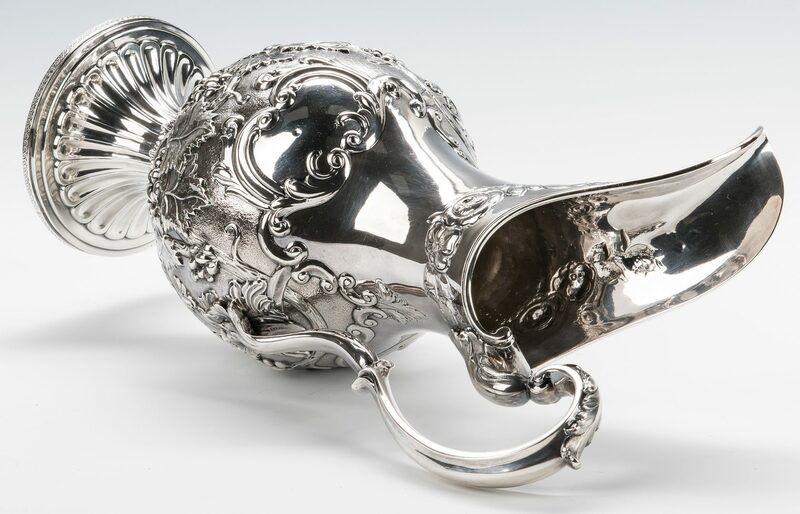 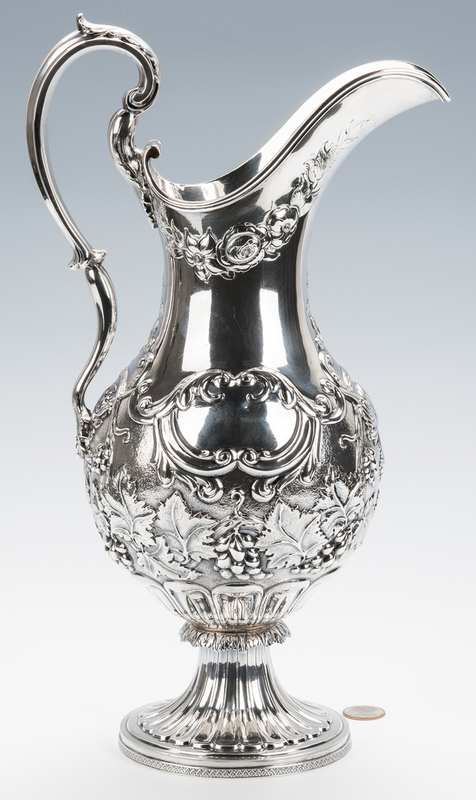 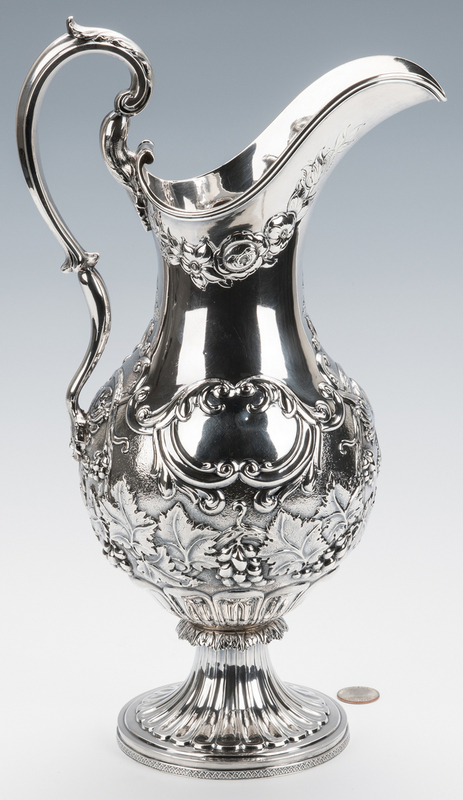 Tall American Coin Silver Water Pitcher with repousse rose design under a flared spout and a pear shaped body having repousse grape, leaf and scroll decoration, raised atop a circular base with lobed, acanthus topped decoration and spade banding at foot. 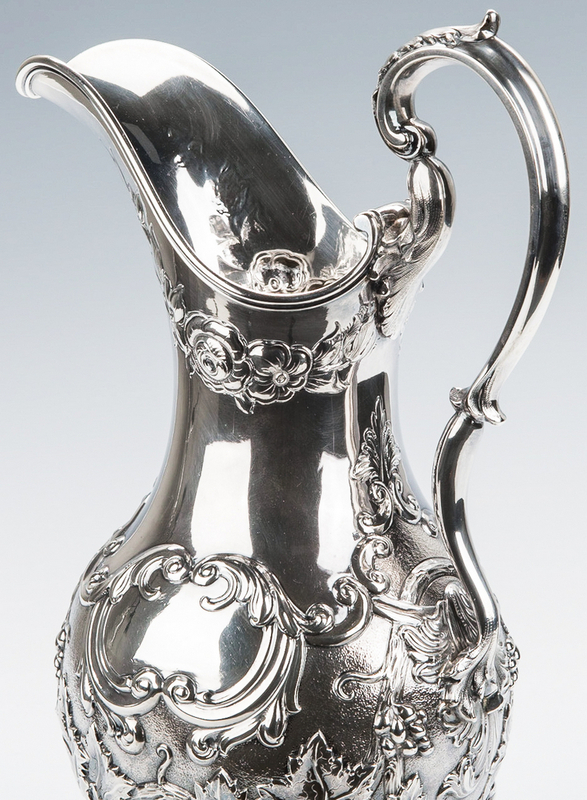 C scroll handle with acanthus overlay. 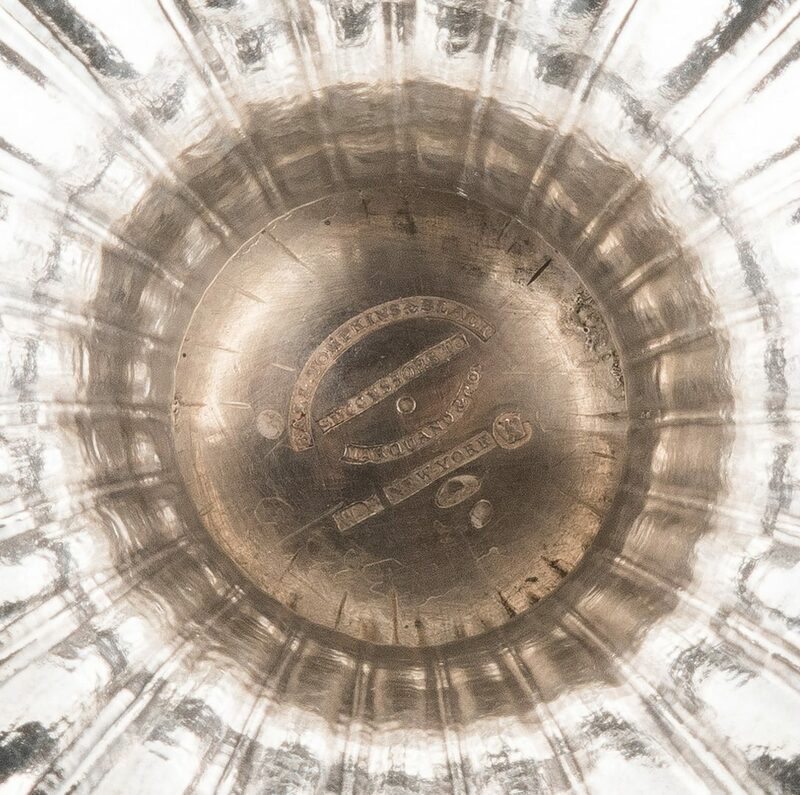 Marked on underside BALL TOMPKINS & BLACK / SUCCESSORS TO MARQUAND & Co / NEW YORK with WF in rectangle and eagle psuedohallmark. 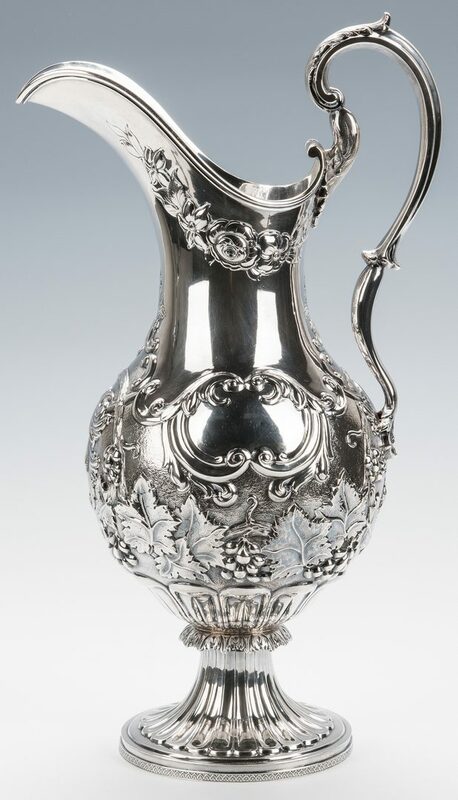 40.62 oz troy. 15 3/4" H. Mid 19th century. 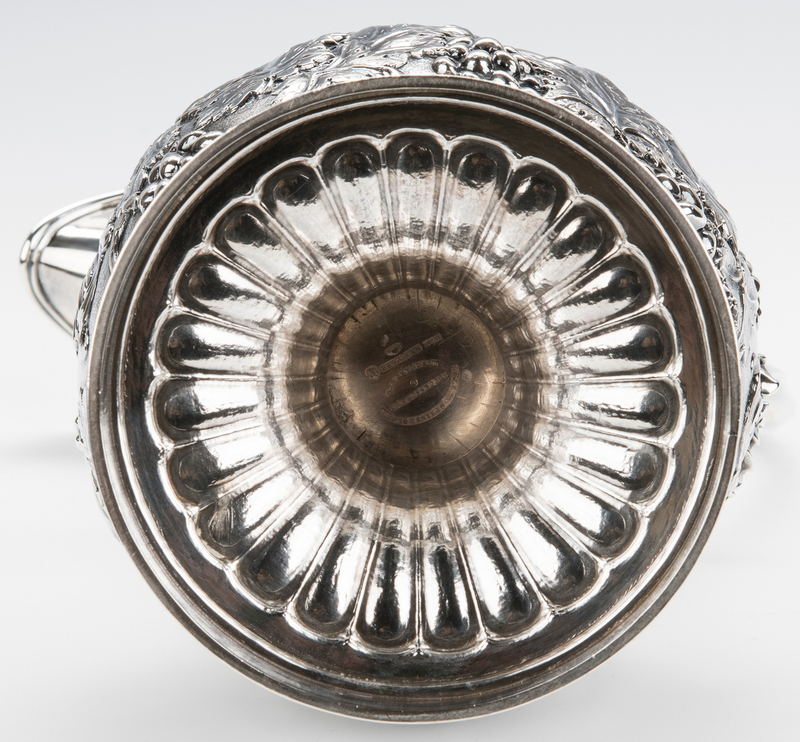 CONDITION: Overall good condition with three shallow 1/2" dents to one side; one 1/4" dent to other side (on cartouche). No monograms.